Our Super Star Curation Team combines the super powers of librarians, teachers, school psychologists, parents, academics, and other leading experts who live and breathe beautiful diverse and inclusive kids' books. OurShelves connects their expertise directly to you. Stacy is the Research & Instruction Librarian for Social Work and Children’s Literature at the Simmons University Library. Outside of librarianship, Stacy is a children’s literature scholar and reviewer with Kirkus Reviews and Horn Book Magazine and she co-runs "Medal on My Mind," a Stonewall mock award blog. Stacy lives in Massachusetts with her wife and three very round cats. Cynthia has practiced as a school psychologist in the early childhood and elementary school settings for 10 years. Cynthia now spends most of her time caring for her two young boys. She remains connected to early childhood education by teaching preschool music at a nursery school co-op and directing an elementary school musical for the local public school. Cynthia has degrees in Psychology and Music from Florida State University and a Master’s and Educational Specialist degree in school psychology from The College of William and Mary. Megan is a Senior Lecturer in Children’s Literature at Simmons University. Her book, Reading Picture Books with Children, introduces the Whole Book Approach to storytime that she developed in association with The Eric Carle Museum of Picture Book Art. Committed to queer representation in children’s books, Megan has authored A Crow of His Own and Real Sisters Pretend. Megan also writes and reviews for Kirkus and The Horn Book, and she’s working on new children’s books, including A Kid of Their Own (2020). As a queer, black mom of a two-year-old whose smile will make your heart melt, Rianna knows deeply the practical and structural challenges, and opportunities, around connecting high-quality, intersectional, age-appropriate diverse books to all children. 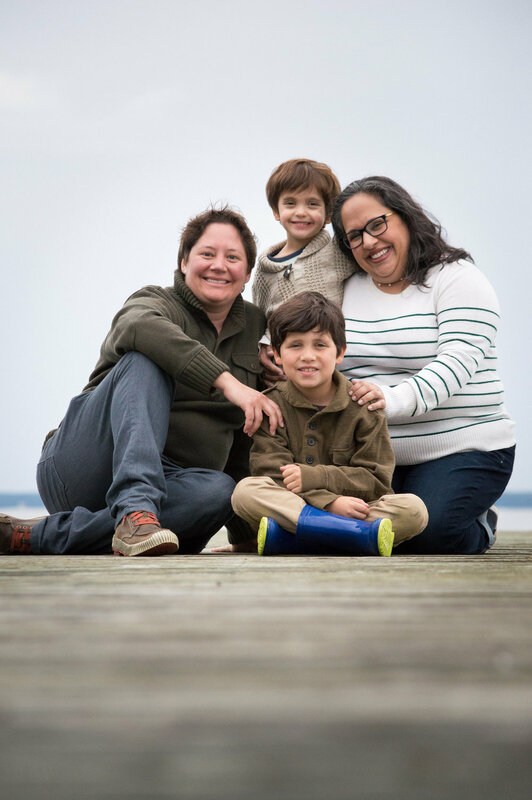 Rianna is the Director of University Initiatives at Johns Hopkins University and the Vice President of the Board of FreeState Legal, an organization that advocates on behalf of low-income LGBTQ Marylanders. If you have a suggested book for our Curation Team to consider for inclusion in our boxes, please reach out to us here.